As we all learn to live on a budget, there is a fine line between being financially smart while watching our money and being flat out cheap. Think about the last time you tried to save a few cents or a few dollars. Were you clipping coupons or cutting financial corners? When we try to save money every month as we buy groceries and shop for our necessities I wonder…are we being frugal or cheap? I personally don’t ever want to appear to be broke even when I have under $10 to my name until the next pay day. How can I be frugal without appearing to be cheap? Here are some tips to try and separate being frugal from being cheap. There are several ways that we can stretch out our money so we get the most out of our spending. Here are some ways to be financially frugal without being cheap. Cut coupons. Don’t be ashamed to bring a coupon for every single item you buy. 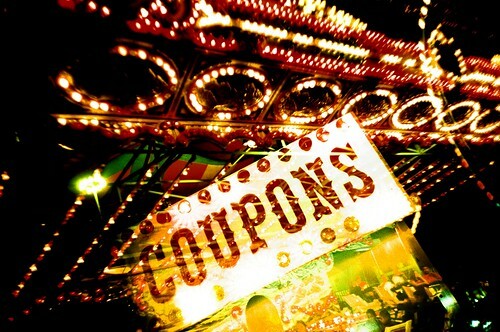 Sign up for online coupon websites and look through your weekly flyers. Shop around before you buy. One stop shopping is a thing of the past. Look through the weekly online and print flyers to plan your purchases. We may have to visit a grocery store, a pharmacy, and a hardware store for our weekly purchases. It’s ok, as long as we save more money on our purchases than we spend in gas. Don’t buy name brands. It is ok to buy no name or house brand products. We shouldn’t be name brand snobs. Usually we can’t even taste, see, or feel the difference between a name brand and a no name or house brand product. It doesn’t matter who is watching. Don’t be ashamed to shop at discount stores such as Target, K-Mart, Wal-Mart, and the Dollar Store. They do have some good quality products that are definitely overpriced at other stores.